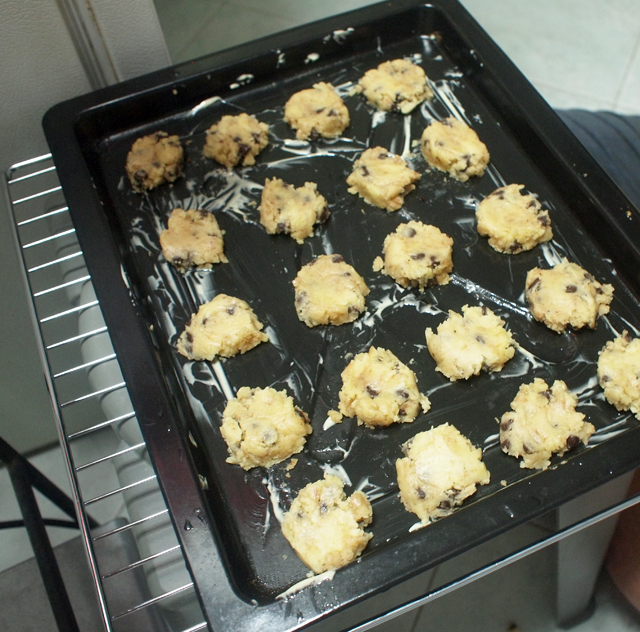 This afternoon, Bf came over to bake butter cake and chocolate chip cookies with me. Finally putting the new oven I got for my birthday to good use! He suggested the plan only yesterday, so we did not really have a recipe ready. I was still trying to search for easy recipes online this morning. 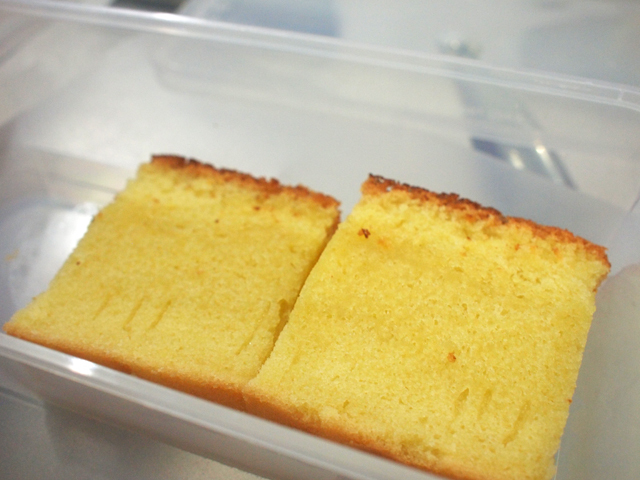 I remembered that mum used to bake cakes when we were young so I asked her if she still kept those recipes and she did! 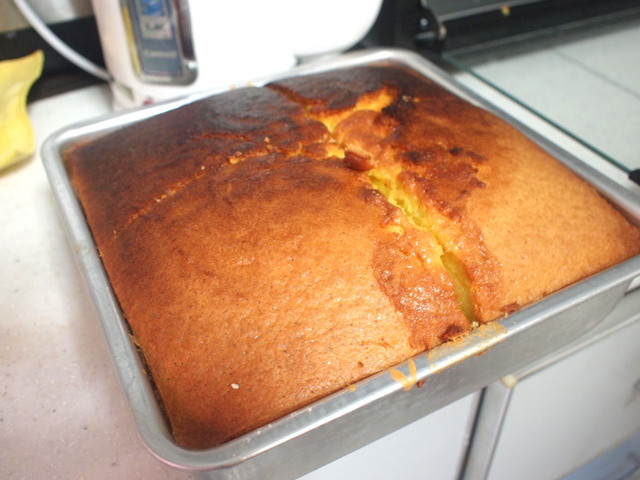 After flipping through the old file, we found the butter cake recipe right at the second last page. Dated 1995. Almost two decades. Went to shop for ingredients together at the supermarket near my house. Here's the recipe for your reference! The cake we made was quite big, so perhaps if you are using this recipe, you might want to half the ingredients. 1. Sieve flour, add in baking powder. Put aside. 2. Mix butter with sugar and vanilla essence. Whisk the mixture for 4 minutes. 3. 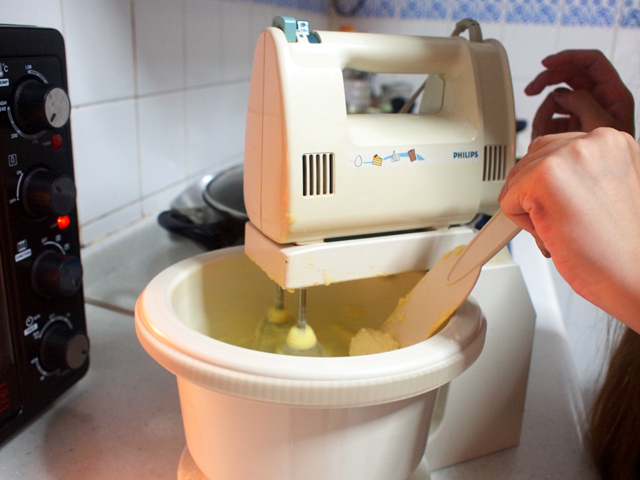 Add the eggs gradually into the mixture at about an interval of 30 seconds. 4. Adjust the speed of whisk to slow, then add in the flour, stir well. So anyway, we did one step wrong. I mixed the butter and sugar with the flour at step 2, instead of step 4. Not sure if it affected the outcome of the cake. The whisk was also the old one that mum used a long time ago! But smoke came out of it after whisking too long. We quickly stopped the machine haha. 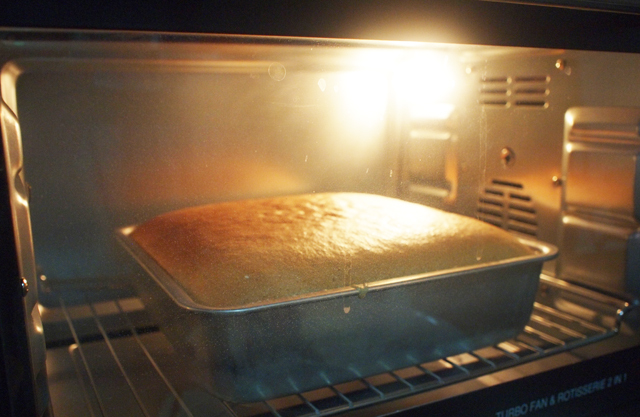 Our cake rising in the oven! But the insides was soft and nice. Yummy too :) Would be better if it was more buttery though. 1. Sift flour and baking soda. Put aside. 2. Cream butter and sugar at medium speed. Gradually add eggs. 3. Add salt and the sifted flour into the mixture and mix at low speed. 5. Chill dough in fridge for 15 minutes. 6. Divide the dough into small pieces. 7. Shape into cookies and arrange onto a lightly greased tray. 8. 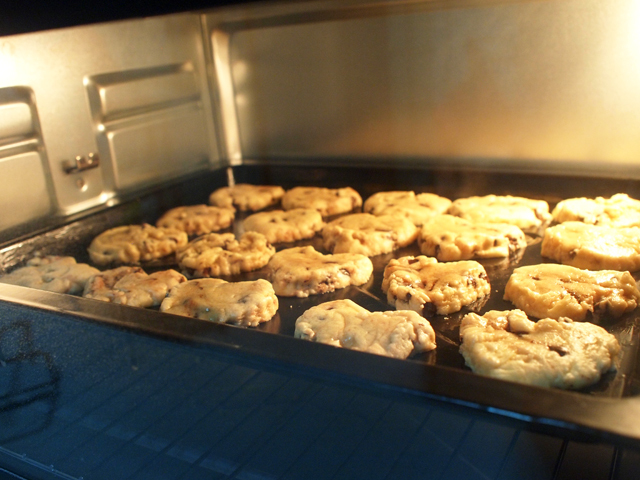 Bake at 200°C for 12-15 minutes. I used baking powder instead of baking soda. There's supposedly a difference but I don't think it's significant. 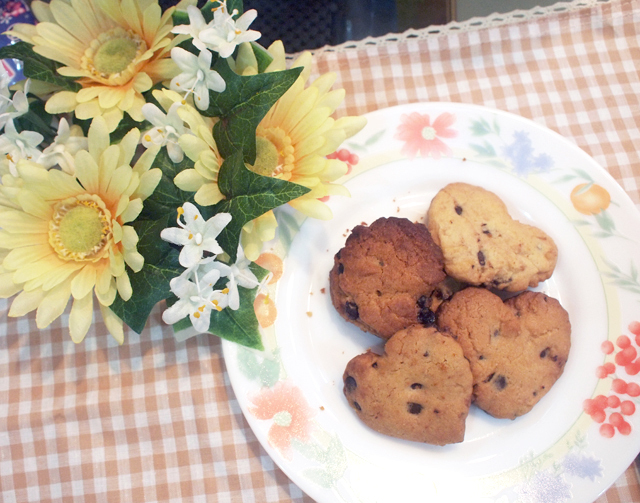 For the first batch we made heart shaped ones but subsequently we anyhow placed them on the tray. Did we grease the tray with too much butter? Haha. We made several batches of these!